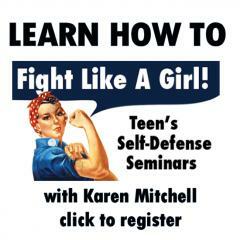 Join us as Karen Mitchell from Impact Martial Arts teaches girls how to size up a situation and decide what they should do in this free workshop. Due to the content of the workshop, some difficult subjects will be discussed. Parents and teens, please be advised. Open to 6th-12th graders. Register online.